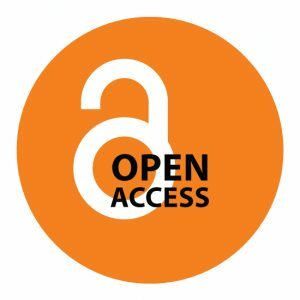 Each scientific article submitted is peer‐reviewed by individuals selected for their knowledge of the topic of the article, and for their objectivity and experience in assessing the scientific merit. This section is directed towards appointed reviewers for appropriate and professional effort. The review should provide a critical and impersonal evaluation that includes suggestions to be considered and actions to be taken to make the article acceptable for publication. Each remark should be numbered for ease of response from the Corresponding Author. The decision to accept, reject or require revisions shall be stated by the Editor‐in‐Chief. The Reviewer should also provide an overall assessment of the article, and direction regarding its disposition in the form of Comments to the Associate Editor. These remarks will not be shared with the Corresponding Author. It is here that a recommendation may be provided to the Associate Editor on the decision to accept, reject or require revisions. If it is believed that the article is unworthy of publication, reasons must be stated objectively, completely, and without prejudice. Critical comments are important in a review but they must always be presented in a respectful manner. Please respond promptly to a request to serve as a Reviewer. Reviews must be completed no later than a week from the date of invitation. If you are unable to meet this requirement, please decline the invitation to review at your earliest opportunity so a replacement reviewer can be identified. A Reviewer may request removal from the Reviewer list at any time. If a Reviewer has been determined to decline requests for review regularly, the Editor‐in‐Chief have the right to remove the person from the Reviewer List. The review process is freeform, but the evaluation should include comments regarding the manuscript’s accuracy, originality, scientific completeness, clarity of the writing, quality and necessity of all illustrations and tables, comprehensiveness of the literary review, format of the paper and references, relevance of the title and abstract. The article should present original, previously unpublished information. If there is evidence to the contrary, the Reviewer should cite references that provide the evidence. The Reviewer should be particularly alert to information in the article that might have been taken from another publication without an appropriate reference. The Reviewer should be alert to any negative comments by the Corresponding Author towards the work of others; as such comments are not appropriate for articles. The Reviewer should also guard against negative comments towards the article under review; general and specific comments by the Reviewer can point out shortcomings of an article without demeaning the article. The manuscript meets all requirements for immediate publication. Manuscript requires only minor changes or non‐substantive clarification/modification. Changes require only verification of compliance by Associate Editor. The Reviewer does not have access to suggest modifications prior to publication. The manuscript demonstrates deficiencies which require significant re‐ work/modifications before a review can be considered further. The Corresponding Author must address the Reviewers concerns and submit a manuscript revision. No manuscript may receive this decision more than twice. The manuscript does not meet the minimum publication criteria and demonstrates weaknesses so egregious that modification to bring the manuscript into feasible publication is not perceived possible, efficient or advantageous. This may be the result of a manuscript having been found to (1) have been previous published/in press, (2) provides absolutely no new or inventive data or procedures which add to the current literature, or (3) is simply scientifically unsound. The subject matter of the submission does not fall within the scope of IJARCCE. Rejection is declared on this basis and is without prejudice. No statement of quality will be rendered. Should a Reviewer recommend this decision, they need only to state the reason why he/she believes the submission is out of scope. A full review need not be performed.